LAKEFRONT, and MODEL-LIKE condition, this 4+bedrooms, 3 bath, POOL and SPA home brings the outdoors in with mature landscaping, Wide Water Views and Abundant Light. From the moment you walk up to the property, you will notice the Expansive Front Entryway, creating a stately architectural entrance through the Double Glass doors. Inside, this Strauss Model offers a neutral decor, 10ft to 12ft ceilings with the main living areas wrapped around the pool and spa. An open floor plan with flexible living space; OFFICE, and an EXTRA ROOM for your Computer Room/Gift-wrap Room or Art Studio, Kitchen is White and Bright with NATURAL GAS RANGE. Master suite offers a sitting area, a coffee bar w/custom cabinetry and peaceful views of the lake and pool. 3 car garage. 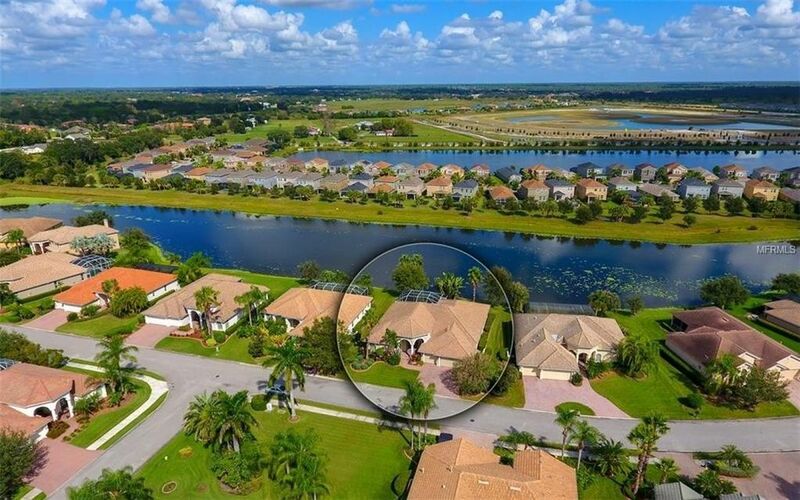 Laurel Lakes offer a Community Pool, Fitness Center, Tennis Courts, Basketball, Social Activities and is GATED. One Look and you will say I am Home!